Like they say, ‘The chase is better than the catch’, research in neurosciences proves that the anticipation to see our money double is more exciting than the actual act of profit booking. Cognitive Investing is an investment philosophy which requires one to isolate the current market condition from the investor’s time tested investment thesis. Clearly, the idea behind cognitive investing is to be completely aware of the fact that humans suffer from many psychological biases which can negatively affect the investments that we make. A typical cognitive investor pays attention stock’s valuation, business model, valuation, asset allocation, etc. He would typically view these variables in isolation of the current market conditions. I want to highlight the term "Cognitive Investing" but Penny stocks was used as a subject in the above article. While searching for an image I got this book which is regarded as a meaningful book by its reviewers. It is not for very experienced investors but for all others. 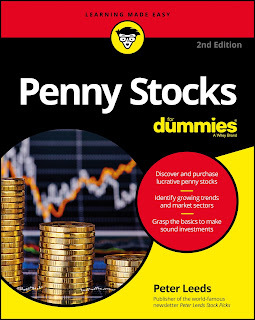 Many Retail investors like to trade in Penny stocks. If you are the one too then why not have some fundamental is this area! This book on Penny Stocks is basically on fundamentals and how to recognize Penny Stocks. One chapter is given for technical analysis. Technical Analysis does not work for Penny Stocks.